And here we go, the second part of that sick dragon adventure scenario I wrote about the other day. This one will start describing the minions, contacts and enemies of the dragon with some alternate (and community fueled!) adventure seeds for good measure somewhere down the road. I'll also give some notes about my thinking here to make this reproducible and all that (turned out to be the main part of that post ...). 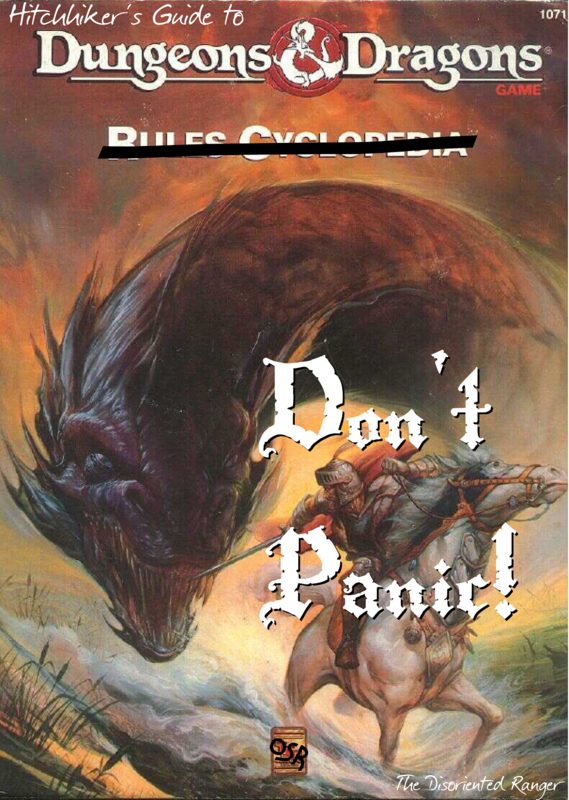 For rules I use the D&D Rules Cyclopedia (D&D RC) and house rule were I think it's necessary, but it should be easily adaptable with the whole D&D family ... This will have more parts than I anticipated. Or are they solitary creatures? That's a very difficult question to answer, I think. They'd most certainly have contacts, if they are of the talking sort and already around for hundreds of years. Wizards. maybe, or other dragons. There's a multitude of possibilities for allies of all sorts, actually. And the use of alignments in D&D makes it even more likely that they seek contact with theirs. I don't necessarily think they mingle or are any other kind of social, even the lawful ones should be reclusive, going by literary examples alone. But (and this is a BIG "but") in the worlds D&D usually describes, it's not the dragon that is the alpha predator. He might be among them, even rank somewhat high if he gets old enough. But in a game (the D&D RC, in this case) where heroes get as high as level 36, wielding powerful items and magic on a planetary scale (to give but one example), a dragon might have to know his way around to be able to survive. And that means for starters alliances and gathering knowledge, followed closely by intrigue or manipulation or brute force were necessary (and possible). Because a poor 12 hd creature might manage to be on a rampage for some time, but will die just as fast if the wrong parties get involved. 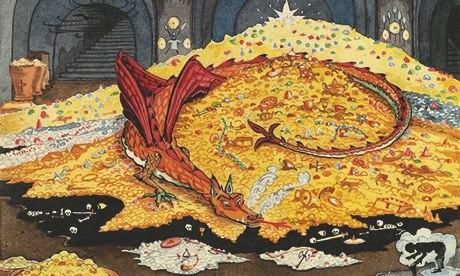 And dragons being creatures of habit, stealing thousands and thousands of coins for a pile to sleep on will get powerful people involved sooner or later (emphasis on sooner, I'd say). So there is that. Dragons might need influence to ensure survival and that means allies and contacts. With minions it's a bit more tricky, but I think in part also a consequence of the former thoughts. Or that's one aspect of it, at least. it's practical to have satellites to do the dirty work or represent you a little less ... conspicuous? Dragons just don't walk the streets of the next big city (well, they could, but that'd mean lots of stress on a vanilla setting like, say, Mystara ...). Using proxies, representatives, surrogates or anything else like that is very likely, then. And that means minions. A second point would be that D&D RC dragons sleep a lot and I doubt that they'd do something like that unprotected in areas with dense population and way too curious types around ... Minions are a logical consequence because of that, too. One final paragraph about solitary dragon variants, though. There are those dragons without speech or hiding at the fringes of civilization. They could very well be solitary, terrorizing their surroundings without consequence for a long, long time. It's not what I'm trying to do here, but still a very worthwhile encounter to have in a campaign. Back to minions. I think symbiotic relationship describes my approach to this best. The dragon we are talking about here, Arez, has (needs) a territory with a radius of roughly 12 km and a lair that fits his size (double that during winter times, btw). I furthermore assume that he'll try to keep up to date about it, so he'll need sentinels and scouts. It might have small settlements in such a territory or even trading routes through it and goblins might not be able to move everywhere freely, so it needs eyes and ears and daggers as well (maybe even beyond the territory). The rest is politics as you know it: bribes, rumors and the occasional poison accident. Stuff like "There are goblins in those hills, but they are mostly harmless and keep out of our way ..." or "Oh no, we don't hunt in those woods. They are cursed." or "Yes, they have tried to mine in that area, had a small settlement even. But they all got sick and died, so our thinking is that it's bad luck to settle there." or something like that. 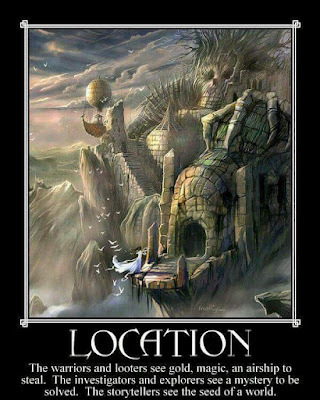 People will have reasons to avoid key areas and won't have a clue that it's because a dragon is living there. Hiding in plain sight and all that. Those mean little buggers are the loyal servants of Arez the Derisive. They worship that dragon, carrying idols and little keepsakes with them as good luck charms (dragon toe nails or scales, stuff like that) they (more or less secretly, at least without consent) gather during dragon cleaning shifts. They tattoo their ears with their deeds up to a point where those ears appear black from a distance. They might be about in the territory as soon as the sun is down or all day if the sky is covered in clouds. Their first impulse is to run for back-up and strike with force (if they think it's worth it or a threat), ideally from an ambush of sorts. They are clever about it, too. Other than their lucky charms, they prefer to wear black or dark green cloths and appear healthier, better equipped and cleaner as their "unemployed" counter parts in the mountains. They also carry no treasure other than their charms, because, why should they have coins? To go for a pint in the next pub? Tactics: if they hit a target with a 16 or more it means that they saw an opening in a characters defense and go for the knees instead of doing normal damage(characters need to make a save versus petrification or fall down and getting as much damage as they rolled over target). They also love collecting ears, so if a character falls unconscious, 1d2 Blackear(s) will take the time (one round) to cut off that characters ears (each Goblin going for one ear) and waving them triumphantly accompanied with some savage screams and dancing (giving all goblins in this fight +1 to attacks and morale from each round that happens until the end of the fight). Current affairs: The tribe is on high alert right now because of the bronchitis and the mean attitude that seems to come with it. The weak of the tribe have sickness duty most of the time and half of the rest is out and about, either looking for herbs or for threats (which are a plenty and part of later post). The rest is protecting the lair and the young. Because of that they are out there all day, sun or not. Well, first of all I hope this is useful, of course. It's not necessarily how I would put something like that down for my campaign notes, but it shows the thought process and illustrates the result as you'd expect it in a blog post. It's also full of the things I tend to hand wave if I haven't written them out in advance. Just as I wrote above, beauty is in the detail. Those goblins aren't that much different to what you'll find in the book, but they have individual combat tactics and will leave an impression on adventurers who happen upon them. They have a bit culture and some motivation, the rest is still chance (if and when they are encountered and how they react). Next up will be some individual servants of the great Arez (a senile dwarf assassin with a thing for poisons and a somewhat mad writer among them) and some contacts ... There are at least two more parts in this thing. Thoughts and ideas are, as always, very welcome. I already have some additional adventure seeds from some great comments and if you got an idea or something you'd do different, please share it with us. I'll collect all of that and put it in the final post as variant adventure seeds for this scenario! 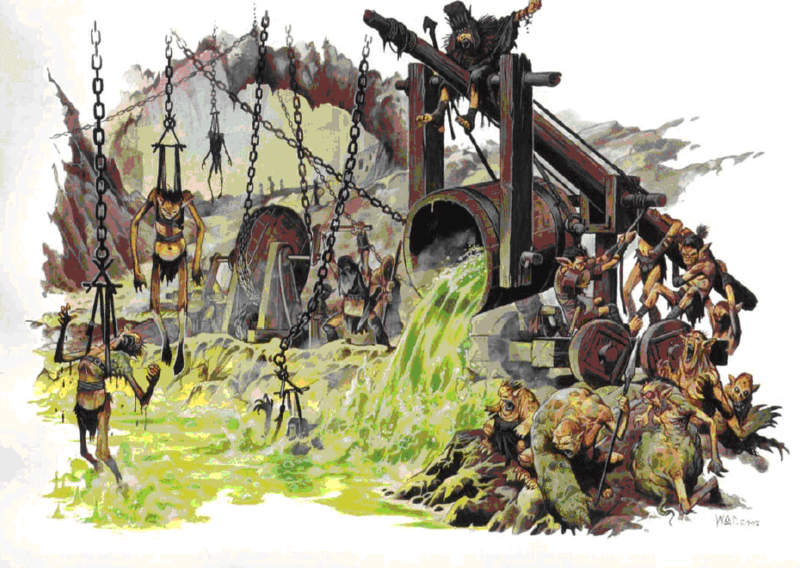 * Originally an illustration from the 3e Book of Vile Darkness ... I mean, if nothing else, at least it had some decent artwork. This is meant as a short level 1 adventure scenario. I always thought it's nice to give low level characters a chance to confront high level critters with a fair possibility of survival. In this case it's a 313 years old talkative and sleepy large green dragon with a heavy case of what goes as a bronchitis draconis, mucus and acidic coughs all inclusive. It won't be complete, more like a collection of (weird?) ideas for the DM to throw some meat at. I'll use the D&D Rules Cyclopedia for the rules here, so Labyrinth Lord is a good bet if you look for compatibility. Arez'kjolterr-Hunwellz'charou (a.k.a. 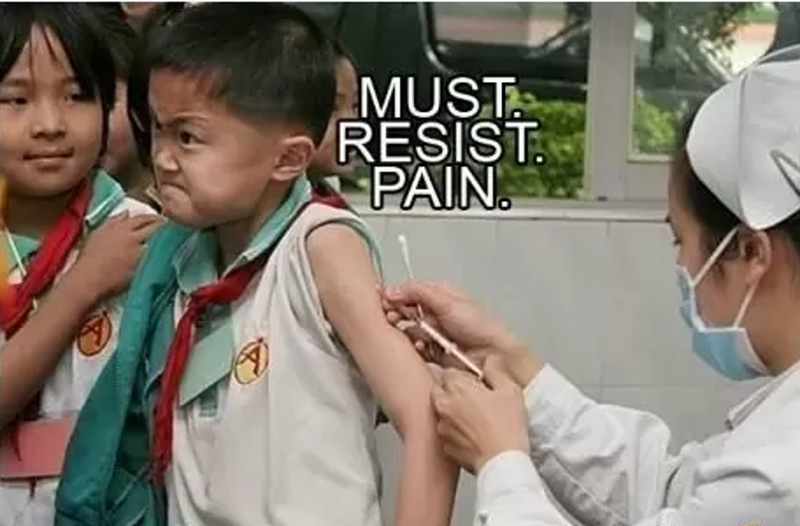 Arez the Derisive) is really miserable right now. Mean and slimey coughs, feverish hallucinations and some outright nasty chest pains have kept him out of business for two weeks now and word already spread into strange places (see The Wizard in Part 2). Nowadays Arez mostly keeps hidden deep in his lair, nursed by a handful of his most trusted servants (meaning: the weakest, see The Black Ears Kneesnapper Goblin Tribe, Current Affairs in Part 2). 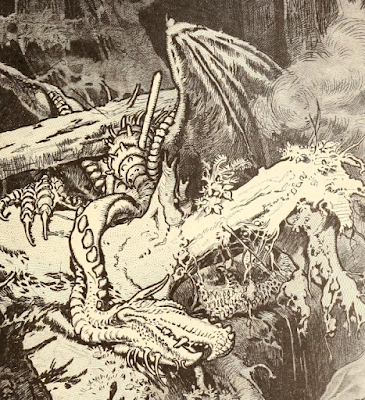 Additional Notes to Combat (D&D RC, p. 170): "When a flying dragon attacks an aerial target, it gets two claw attacks and one bite attack, but cannot use wing, kick or tail attacks. When attacking a ground-level victim from the air, a dragon can use one Crush, Hover, or Swoop attack (as described below), but no two in combination." Arezkjol is weak as a kitten right now (has only a quarter of his hp) and knows it. He hides in a small cavern close to his most precious treasures (believing that they somehow support the healing process) accessible only by one small and hidden entrance (he has ways to get in and out of there, if need be). He spends his days with cuddling his favorite logs, light reading, heavy whining and lots of sleep (60 % chance that he is asleep at any given moment, with a 20 % that he's trying to get there if he's awake). He won't use his breath attack in here, because it might destroy some of his treasures and thinks that crushing enemies is kind of gross. But strenuous actions like fighting will provoke some coughing and that mucus is very acidic, if random. Every round of fighting the dragon has to make a save versus petrification (as F12 in this case) or cough the whole next round, spitting huge clumps of mucus all over the place. Everyone in front of the dragon has to make a save versus Dragon Breath to avoid getting slimed for 2d6-2 acid damage per round until the mucus is somehow scraped off or the victim is dead. There is a huge dry clump on one walls of the cavern with the sad remains of a goblin in it that could give hints. Arez claims a territory with a size of roughly 453 square kilometers (a radius of 12 km or about the size of San Jose) or twenty 6 km hexes. Mostly it's forest, of course, so any forest region in a campaign could be used here. Since it's a green dragon, it's very likely that he'll seek the proximity of some sort of civilisation to play his mean games with. He'll also have spies all over the place, even beyond his territory, to keep an eye on all interesting things, like adventurers out for some dragon blood, interesting artists and politics in general. There is a (at the moment) a chance of 90 % that Arez's servants are aware of adventure groups above an average level of 4 travelling through the territory and the chance of 20 % that the sick dragon will be made aware of it. 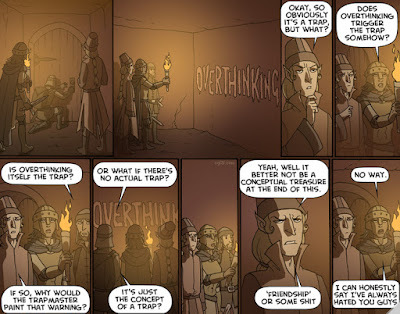 Low level adventurers will most likely get ignored, as everyone is either busy with real threats or looking for herbs. The lair should be a well hidden cave complex with some clever and deadly traps (green dragon!). The inner sanctum will be fancy, artful even, and roomy with lots of wood ornaments. Among Arez's personal prisoner is the famous writer Gonimas Hirrenfort who's been missing for 5 years now, but quite happy where he is (see Minions and Contacts 2 in Part 3 for details). The lair is surprisingly unprotected right now, as everyone is quite busy with helping the dragon getting healthy again (who is very demanding and unforgiving about the whole affair, of course) and protecting the borders of the territory as some of Arez's more clever enemies already start making moves testing those borders (see Final Notes). Still, there are traps, the dragon is hidden in a secret room with most of his treasure and there are still some guards left in the dungeon. His hoard will contain way more things than what is described here. Pelts, tapestries, more books and paintings, all that jazz, but this is what is worth mentioning. If the creature's lair is detailed, it might make sense to have it filled with more stuff to steal, but this is enough for here. The total worth of this hoard would be 712.270 gp (without the girdle or extra coin from collectors factored in) and that's already a lot. Part 2 will mainly be about minions, contacts and enemies of the creature with some adventure hooks to get the adventurers in trouble (I originally planned to have all in one post, but it wouldn't stop growing). It'll feature a senile but competent poisoner and some mean goblin tribe going by the name Blackear Kneesnappers, among other strange things. Ideally this is an NPC that will be around for a long time. Introducing it early in the game for the characters to dupe could make for an excellent campaign villain, for instance. 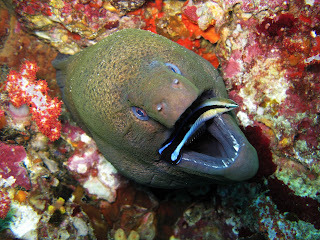 But there is a variety of options to use this critter somewhere in your game. Even just as a story. Anyway, I hope this is already somewhat useful and illustrates what I was talking about the other day. More of the same in Part 2, maybe as early as end of next week, but definitely the next post I'll make here. Comments and suggestions are, as always, very welcome. And please tell me if it gave you an idea or two for your games! 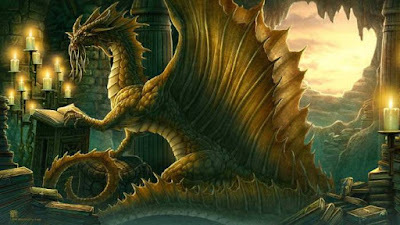 I was writing a short scenario for the blog (which will be up next) and while I fleshed out the encounter, it occurred to me why dragons are so important as showcases what D&D was meant to be. Or could be in the hands of a capable DM. Anyway I took a closer look at the dragon in the D&D Rules Cyclopedia (big surprise there). Here meander my thoughts on the matter. Why is it called "Dungeons & Dragons"? I sometimes wonder how Gygax and Arneson came to call their game "Dungeons & Dragons". It is, if you think about it, an odd choice. Genius in its elusiveness and spurning the imagination more than many other similar word combinations I can think of*, but odd nonetheless. Sure, dungeons had become big with the early play testing groups in the 70s and it was kind of an obvious choice. But it must have sounded very weird to those not familiar with the background, since "dungeons" as they had been used in the game, had been no where close to what popular culture endorsed at the time. Even at it's fringes. 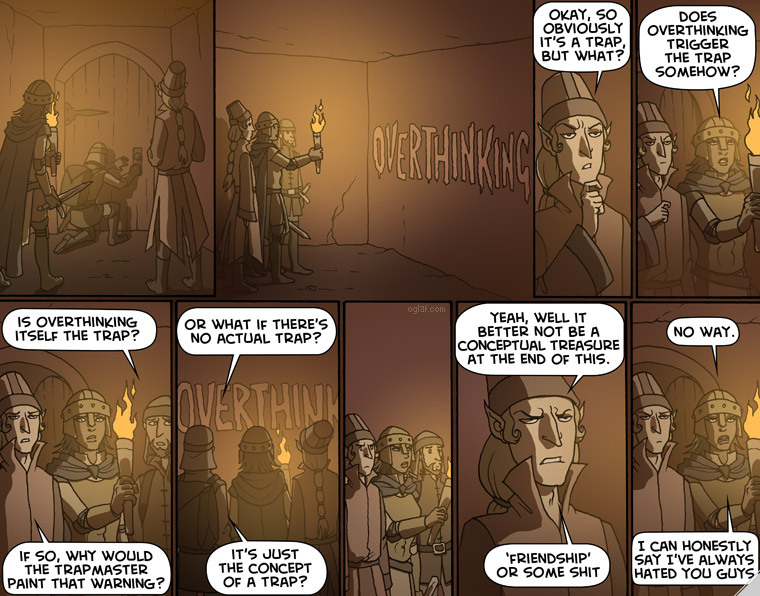 That's mostly due to the fact that the "dungeon crawl", as it is experienced in role playing games, is something genuinely unique to that very medium (or at least was at the time). You just don't have it in books, comics, tv shows or movies back then and computer games weren't even a thing at the time (and would use D&D for inspiration later on). Today it's still pretty rare in anything but computer and role playing games. And with reason. The thrill of exploration comes from doing it, not from tagging along. And why is it "Dragons" and not "Demons" or, I don't know, "Daggers" (assuming the alliteration was a must-have in the decision process ...)? Well, this is me guessing, because I have no idea what exactly went down there (tempted to google it, too, but where would be the fun in that?). Might be the easier one, though. Dragons had always been a thing in literature. Heroes fight dragons and if you read the word, you have a mental picture what it's all about or where it's headed. There is another dimension to the whole thing. Dungeons are very dangerous locations full with treasure and promise. So that's something to explore. Dragons are famous for being intelligent, mean and unbelievably rich, they are some of the most dangerous monsters out there. So that's a challenge to overcome and get famous by (well, and stinking rich, of course). Both words describe goals and to reach those goals means having an adventure. I think there is something to the idea that they describe goals to aspire to: you want to get to the dungeon to explore it and you want to get strong enough to beat a dragon. The way is the goal. Doing it, not being there. Following that argument, you'll end up asking if D&D actually delivers in both regards. For dungeons it's quite simple (I'd say) as the whole game in it's early editions is rigged towards exploration as a team of adventurers with the goal to get more powerful and treasure directly connected to that (treasure = xp). The sum of the available classes are able to overcome level appropriate challenges in a dungeon environment (finding traps and secret passages, orientation, fit for combat action and magic challenges, plus healing support to complete the package). The rest is player skill, which is just as important to invoke a sense of danger and exploration. Dragons are a little bit more tricky, as they are on the monster side of the game and that's the Dungeon Masters (sic!) area of expertise. I'm talking Rules Cyclopedia here and this changed focus somewhat over the different editions. But the D&D Rules Cyclopedia was understood as complete in one book, so the information that is in it is assumed to be essential to the experience of playing D&D (1e). In that it's not only a collection of rules, but also a collection of exceptions and examples. I think this is where it gets interesting. The D&D RC is a tool box and it's important to realize this when talking about monster entries. Here is a word on short monster entries: they do nothing for a DM but giving him numbers he could have come up with just as easy all by himself. Even having all the general information that is available about a specific monster, it will always lack the most important part and that is how an individual version of that general monster entry fits into a campaign world. The specific is where the work is, so to say. Not even the number of hitpoints per monster, but cultural background (cloths and equipment, behavior), territory, allies and enemies. All those beautiful things that bring the game to life and make it still hard for computer games to beat their analogue ancestors in terms of depth and flexibility. Some of that can be randomized, like with monster reaction rolls in D&D to see how the monster interacts with the adventurers or random encounters that show how probable it is to encounter a monster in a certain area at a certain time (day/night, etc.). Depending on the possible variety of how a specific an entry could take specific form in the game, the book will be either very vague or very specific about it and gives general and/or individual guidelines what directions a DM could go with it. The list of possibilities goes on and goblins are famous for the huge amount of variety in publications and home brews. I mean, who doesn't like a mean little monsters that breeds like bunnies, die even faster and are intelligent enough to fulfill the basic requirements needed to adapt to every environment and weak enough to make them the perfect minions. And then there are the more specific monsters, the dragon being the one with the biggest focus in the book. There is, after all, even a saving throw named after it, ffs**! Dragons are showcases of what can be done in D&D? Yes, I think so. 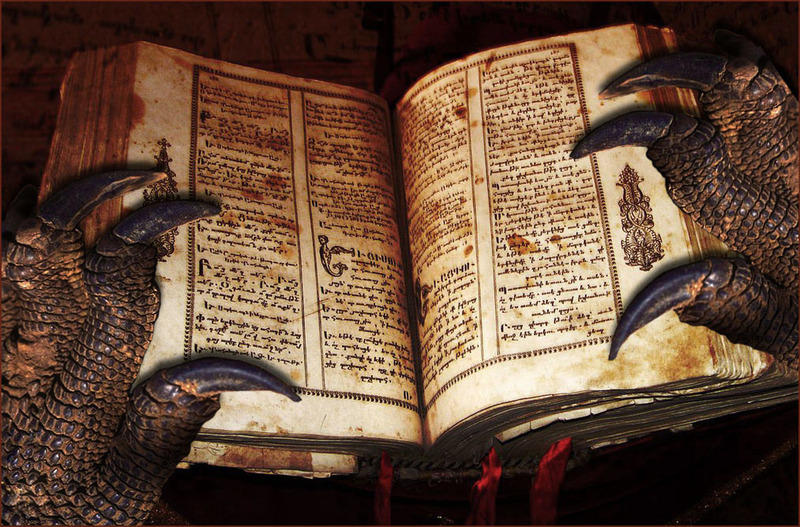 There are 5 pages dedicated to dragons in the RC with lots of information to make any one encounter with dragon something very special and dangerous. There's still enough variety that just by using the information on those 5 pages, no dragon will be like the other and there's always the option to change it even beyond that. But that's not the point. It's more about the fact that each dragon is an individual and powerful enough to matter even as a NPC enough to have a full set of stats and background. Dragons matter in a game. It's nothing you encounter randomly, it's something that announces itself. Big time. 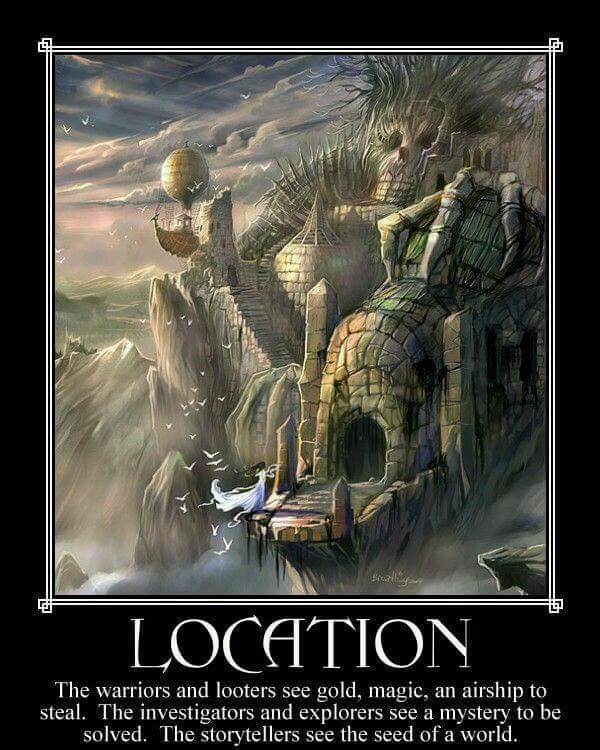 Or it knows you are there while you don't know a thing about it being in control (it happens to be on random encounter lists, by the way, but a 15 HD monster doesn't drop out of the sky most of the time, so if it comes up, a DM is adviced to handle it with care ...). Anyway, what you get is far more interesting than what you have to add. You get combat tactics, several different physical attacks like crushing, tail attacks, hovering or wing attacks from a mean flying creature that is smart and might also be able to talk and cast spells. Add rules to subdue dragons, different power levels, alignments and colors ... 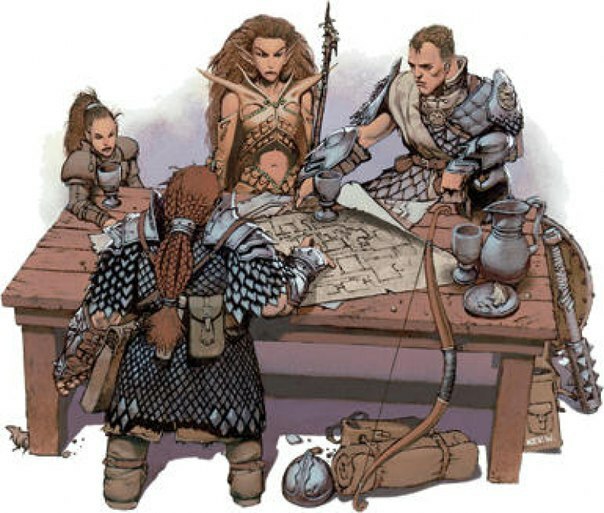 It's as detailed as they get and when you actually sit down and plan an encounter like that, you'll see that what the D&D Rules Cyclopedia can do. And that's why I think it's the showcase monster in the book. Not only because it's in the title but because the diversity in tactics, strategy and combat options with all their little special rules in combination with posing a versatile opponent in the mental department gives a DM a great idea how flexible the rules are and that fights don't necessarily follow the you-hit-me-I-hit-you routine the game usually is reduced to. We are encouraged to make this happen at the table. Why not have the goblins cut off a characters ears when he's down instead of going for the next opponent? Why not allow a signature move for a orc tribe if a 19 to 20 comes up? Don't think in categories of weapons, think in effects. I had a fat goblin once fight using a big fish as a club. Make them attack the knees. No damage, but you need to make a save to stay upright ... Stuff like that. Little details like that will make encounters unique and the dragon shows the way how to do it. I'll have an encounter with a dragon ready for the blog next weekend. I can say it will happen, because it's almost done :P It is an interesting experience to prepare an encounter like that and I think every DM should do this at least once. It's one of those monsters that are around anyway and if done early in a campaign, they can grow alongside of it, like the characters do. Maybe that's something that should be done with every major threat in a campaign world and I was just to lazy to do it until now. In that case all of this might be old news to all of you. But if nothing else, it makes a point for details in monster entries and individual monster creations for every campaign. It's not about the numbers, not even about the special abilities a monster has, it's all about the individual (non-player) character you produce when it appears in your setting ... Ah well, let me show you what I mean in that next post :) Here are Part 1 and Part 2 of the adventure scenario "The Dragon's Cough". Two weeks already since my last post ... I hate it when that happens. But that's what a mean bronchitis will do to your plans. Anyway, it's been a while and to get back to posting more regular, I thought I'd start with something long overdue: an update on the development of Lost Songs of the Nibelungs, the game I'm writing (instead of the other things that are still due, maybe this month even, but I wouldn't hold my breath). A lot has happened since my last development post and I'll try and give you all an idea how it's shaping up. Everything characters experience is mirrored in their Qualities (basically the 6 ability scores in D&D). A character overexerts himself, it'll show in his Muscle up to a point where it leaves permanent damage (that character is getting a scar). All Qualities work like that and it worked very well at the table so far. Actually, that system alone would make for a very good survival game* as characters react to stress, horror and bad luck just as much as to physical hardship. One problem we had from the beginning, though, was to make those mechanisms worthwhile for the players. I mean, they saw the benefits as it supported how they played their characters (it's still great fun to see a character getting stressed out and jumpy! ), but since there was no direct positive fringe effect linked to it and disadvantages instead, I had a hard time arguing how that is way more than just getting damaged. The first really effective rule we came up with in our test games had been that every natural 20 allowed a character to either (1) heal 1 point of permanent damage his has in the Quality he used or (2) raise a skill by 1 if he doesn't have permanent damage in that Quality and used a skill for the task or (3) add a new (appropriate) skill with +1 to his list if (1) and (2) don't apply. Either way, you get something solid out of it. Although it doesn't seem much, it's a great psychological effect to get a little something with a great success. And it helped a little bit in making the players accept the damage they got. Still not enough, though. I had to link it to experience, too. That one took a bit experimenting (still does, but it's more fine tuning than actually changing anything). The basic idea was that experience is a group effort. Everybody gets his share, but before that it's all in one pool. You learn by your mistakes and to some extend by those of your brothers and sisters in arms. The second part is the chronicle. We are creating an epic, of sorts, so the re-telling of what happened became a thing in the play testing groups. So the group gets 100 xp per chronicle entry but no more chronicle points per session than hours played (7 hours play would be 7 chronicle entries and 700 xp for the pool). This chronicle will be a big thing in the game, maybe going as far as healing permanent damage between quests**. The third step had been the tricky part: getting some solid currency for experience. To some extent I'll allow loot to give characters xp, but only after quests and as presents to their tribe, so it doesn't happen too often and is mainly to connect the system with the characters origin in a meaningful way. I was thinking to give them xp for combat (just like D&D or similar), but it just didn't sit right with the game. Something else needed to be done and we started experimenting with giving xp for the ability score damage characters got. It took some time to get the right method down, but we finally got a method together that is easy to use and gives the results I needed in the game. 40 xp for every Quality that got buffered, 300 xp if all 6 of one character got buffered. 80 xp for every Quality that got hurt, 600 xp if all 6 of one character got hurt (which would mean a serious amount of hurt, by the way). 160 xp for every Quality that got permanent damage, 1200 if all 6 Qualities a character has got permanent damage during the session (never happened so far and it would be very harsh on a character). It really hit the spot. To give them more xp when all 6 Qualities are triggered almost made the players aim for those results, but since it'd mean some serious disadvantage for a character, they restrained themselves to just being a bit happy if it occurred by chance (happened once, everyone was like "Uuuuuh! That's nice ..."). So that's what's happening: the group gains experience for the epic they tell and the hardship they endure. 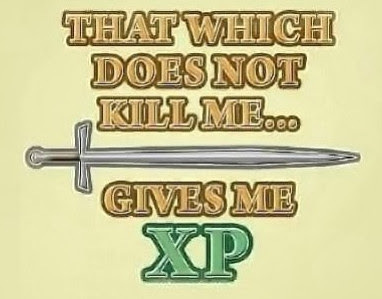 I also give xp for fulfilling quests exceptional ideas or victories (if they are not already chronicle entries). All this is collected at the end of a session, multiplied by the average group level (if it's more than zero, it's half the amount if all characters are level 0) and divided by the number of players for individual xp. Another aspect of the game that got relevant. I needed to find solutions for a way to gain skills and advantages through play instead of by gaining levels. A natural 20, as described above, will do this for skills, so that's something. Still, not enough. We started with learning to wear armor and using weapons. Armor was the easiest part. There are three categories: light medium and heavy. Learned they give a +3 each to a character's base defense, unlearned you get a disadvantage in combat (lose a combat die for each category you can't use but wear) and they only count +1 each (so if you put a guy who isn't used to any armor at all into a heavy armor, he'll basically do nothing). Now, if you want to learn using a armor class one higher than what you are already able to use, you need to survive one serious combat encounter using it with the disadvantages mentioned above. If the character gets hurt but survives he is able to use the new category from then on. With weapons it follows the same principle. You use the weapon you want to learn with a disadvantage (with one combat die less) for time equal to what the character needs to complete his current level. That means, if a level 2 character decides to gain a new weapon, he'd have to collect the number of xp he'd need from level 2 to level 3, even if he needs less to gain that next level. The rest has been based on what happened in the story. Like, if the characters spend some time in a Roman city, they'll learn some basic Latin, stuff like that. Another thing that needed changing. Healing rates had been off for several reasons and it got obvious after the first few fights. The first important change was to allow characters to regain Endurance one time per level per day (so a level 3 character could do that 3 times a day and so on) if they are able to catch their breaths for a couple of minutes. The second big change was the time healing needed. Now it needs 1 day to regenerate Endurance and Health, a second day to regenerate all buffers and then it's 1 point per day for damage in the hurt area unless some sort of additional healing is applied. Traditional First Aid would regain Health, but it is possible to heal buffer or even hurt damage (if more difficult). With no resources and badly hurt, it could take weeks before a character is healed again and several rolls to see if he heals (another thing I need to think a bit more about). As it is, it is established relatively fast how long it'll take to heal and in our last game people started to think about tactics to influence healing. I'm happy with it. Small changes here and there. Advancement works well, but I needed to change two or three little things. One example would be that instead of getting an xp bonus, characters can chose to count as a higher level as they are for the average group level. Mostly it's fine tuning, nothing serious. Magic is still the biggest construction area and will most likely end up with significant changes to what we use now. Mostly because it's quite free form and relies too much on too many factors. But I really don't want to use spells in the traditional manner. It remains being a problem. Both campaigns run strong and in very different directions (a dungeon crawl and a treasure hunt). They keep testing the limits of the system, as they should. I need to work more on the DM tools, though. Anyway, with things being as they are, I can finally sit down and write the first complete draft of the core rules and combat (Volume 1). After that I will start with writing the second Volume while Magic and the DM tools gain more focus in play testing (and the blog, I imagine). The whole endeavor is still lots of fun and we have the first level 3 characters to prowl the scenery. I wonder how long it will take before they reach level 10 and what kind of epic they tell. That's it for now. The next new thing in Lost Songs should be about magic, I guess, since I need to get things working there. But updates will get sparse as the systems starts to do what it's supposed to do. Comments with questions, suggestions and ideas are, as always, very welcome. * I'm thinking about doing that. But I have a lot on my plate right now, so if it's going to happen, it'll be a while, I'm afraid. ** Characters will be able to heal some permanent damage between quests by courting and raising their own family or by carousing, so why not by spreading the epic of their exploits?